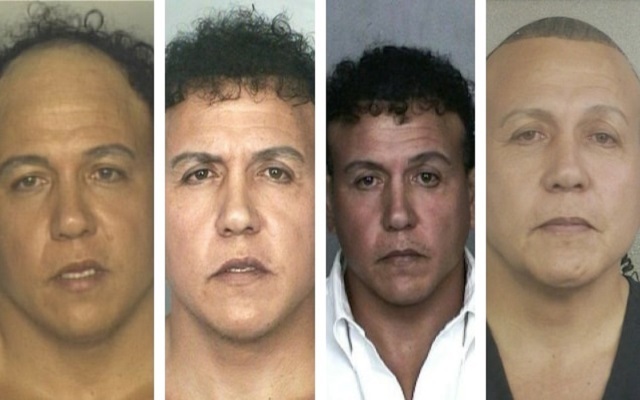 Mentally ill homeless steroid addict and broke stripper Cesar Sayoc reportedly told the feds "he didn't do it" during pre-Miranda questioning, according to NBC News. "Under pre-Miranda (public safety exemption) questioning Cesar Sayoc told federal investigators he didn't do it and would not say how many packages he sent," NBC News's Tom Winter said, citing reporting by WNBC investigative reporter Jonathan Dienst. "Post-Miranda he requested a lawyer and refused to talk." NBC News: Under pre-Miranda (public safety exemption) questioning Cesar Sayoc told federal investigators he didn't do it and would not say how many packages he sent. Post-Miranda he requested a lawyer and refused to talk. This reporting is different from that of CNN, who said Friday that Sayoc "told investigators that the pipe bombs wouldn't have hurt anyone and that he didn't want to hurt anyone." Zero out of the thirteen "IEDs" he sent detonated and many bomb experts said, in the words of the New York Times, that the device sent to CNN "had hallmarks" of a "fake explosive" of "the kind more typically depicted on television and in movies, rather than devices capable of detonating." 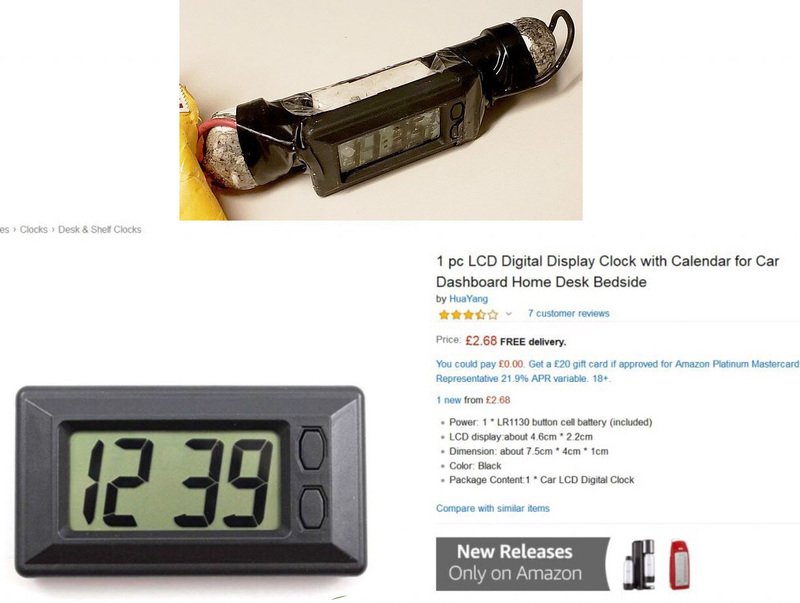 The alleged exact clock on the "IED" sent to CNN is an over-sized car clock without an alarm function, which is needed to trigger a detonator. Nonetheless, FBI Director Christoper Wray said Friday that the devices, which he called "IEDs," each "consisted of roughly six inches of PVC pipe, a small clock, a battery, some wiring, and what is known as 'energetic material,' which is essentially potential explosives and material that gives off heat and energy through a reaction to heat, shock, or friction. Though we’re still analyzing the devices in our Laboratory, these are not hoax devices." Jeff Sessions also said at the same press conference that Sayoc is facing "58 years" in prison, which was later corrected to 48 years. This is particularly curious given the very carefully worded statement from FBI Director Christopher Wray about the nature of the device(s): "energetic material that can become combustible when subjected to heat or friction." While Director Wray went to great lengths to state the devices were "not a hoax", if the device was an actual explosive device the charges for each of the incidents would equal a life-term. The terminology: "energetic material that can become combustible when subjected to heat or friction", could literally mean just about anything from CoffeeMate powered coffee creamer, to any other powered combustible. As former federal proseuctor Andrew McCarthy noted, if the mailed IED devices were "functionally explosive" they would fall under the category "weapons of mass destruction" [defined here by U.S. code] and the indictment would include 18 US Code 2332a [SEE HERE] The absence of this charge infers the devices were not functionally explosive. The pattern within the indictment in combination with the comments from the DOJ and FBI seems odd; and, in my humble opinion, rather political in nature from the perspective of FBI Director Christopher Wray (whom I think is extremely sketchy). 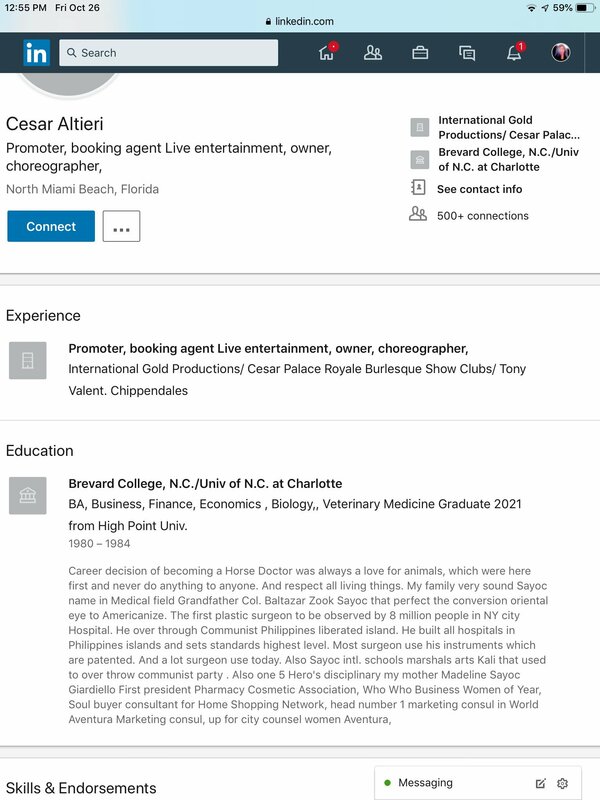 Sayoc, who was reportedly born to a Filipino father and Italian mother, was "a fitness-obsessed male stripper" and a "lost soul" who had a "problem with steroids," according to the New York Post, citing an unidentified cousin. Sayoc's former lawyer, Ronald S. Lowy, told CNN that he struggled for years with "a lack of comprehension of reality." He was reportedly living out of his van at the time of his arrest. Sayoc has been arrested several times in Broward County, Florida, dating back to 1991, court records show. His most recent arrest in Broward was in 2014. In 2002, he was charged with making a bomb threat in Dade County, Florida, when he threatened to blow up a power company if he turned off his electricity. According to the police report, Sayoc called Florida Power and Light and warned them that "it could be worse than September 11" if he lost his power. He threatened to blow up the company and also threatened the company's representative with physical harm. Sayoc was sentenced to one year of probation, and prosecutors agreed to dismiss charges after he completed probation in 2003. In 1994, a woman named Violet Altieri filed a complaint accusing Sayoc of domestic violence. She later filed a request to withdraw the complaint. Violet Altieri appears to be Cesar's grandmother. In 1991, Sayoc was charged with third-degree grand theft, a felony. He pleaded guilty that same year and was sentenced to two years of probation. Sayoc was arrested on drug charges in 2004. He was accused of possession steroids with intent to sell, and pleaded no contest. In 2014, he again pleaded "no contest" to charges of battery on a merchant and third-degree grand theft. He was accused of stealing copper pipes from a Home Depot in Hollywood, Florida. He was later sentenced to probation. In 2009, Sayoc was charged with operating without a valid license, not having insurance and not having a tag light and was fined after pleading guilty to the misdemeanor charges. In 2014, Sayoc was arrested on a petit theft charge and violation of probation. He was sentenced to 30 days in jail. Sayoc filed for bankruptcy in 2012 and was not married at the time. He was working as a store manager at a supermarket in Hollywood, Florida, at the time. He was also arrested on theft charges in Dade and Palm Beach counties in 1992 and 2015.